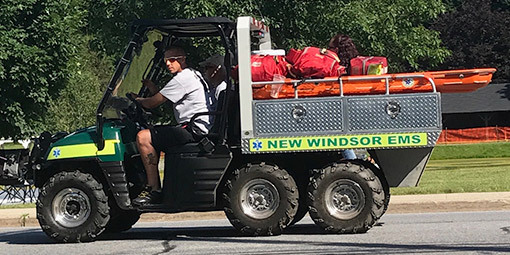 New Windsor Volunteer Ambulance Corps has teams of experts that are fully trained and capable of helping you through times of crisis and standing on-call for your events. Learn more about us below. The Special Operations Team is made up of specially trained EMS personnel who operate out of a mobile incident command trailer. In addition to housing equipment, the trailer acts as a mass casualty incident response center and a “medical rehab” center for extended duration incidents. The mission of the Special Operations Team is to provide advanced mass casualty incident management and medical care to victims of natural or man-made disasters. The Team also provides medical coverage at large-scale community events, such as parades and any situation where a large number of people have gathered. To provide efficient and effective medical care and emergency management skill and technologies in a planned and measured response. To conduct all EMS management and medical care operations in a professional, ethical and understanding manner to protect the dignity of any victims and the local response communities they may serve during such missions. To maintain their skills and abilities in providing medical care, multi-casualty incident management and training commensurate to any mission that may be established now or in the future requiring deployments to natural or man-made disasters with displaced or injured victims, hazardous materials incidents with injured victims of weapons of mass destruction, or such other incidents that are beyond the capabilities of local emergency services. New Windsor Ambulance now staffs five full-time paramedics and ten part-time paramedics. This ensures the residents of New Windsor the professional level of care they deserve. Paramedics have two years of college-level education in pre-hospital care. They perform all the skills performed by an EMT-basic. In addition, they perform advanced airway management, obtain electrocardiographs (ECGs), introduce intravenous lines and administer numerous emergency medications. A paramedic assesses ECG tracings and defibrillates. They have extensive training in patient assessment and are exposed to a variety of clinical experiences during training. 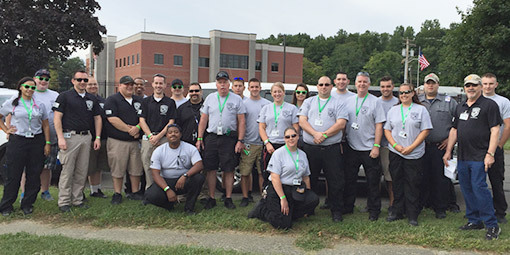 We have assembled a wonderful and highly trained team of volunteers, EMTs and paramedics. We strive to be the best at what we do, and we know we can accomplish anything with the continued support of the residents of New Windsor and the Town Board.